This thing looks like a damn spaceship and performs like one too. 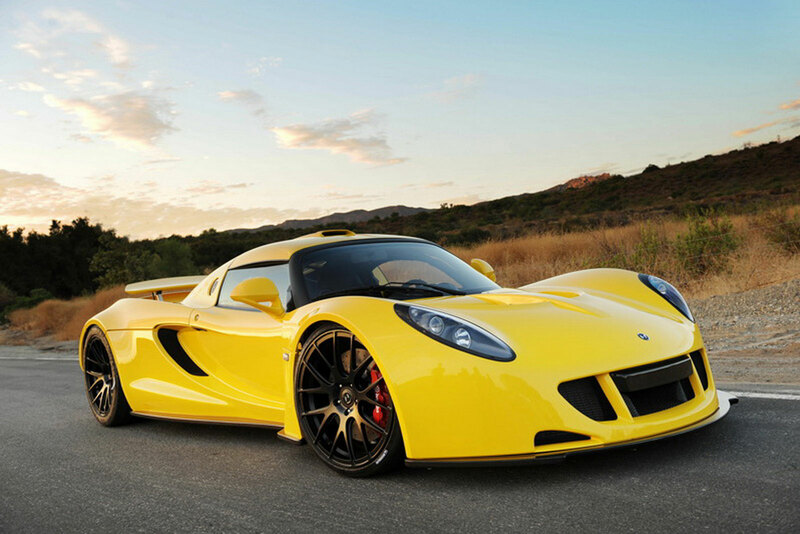 This car has set official and unofficial world records for 0-300kmph and 0-200mph acceleration. Seriously this thing is blisteringly fast, utilizing a twin-turbocharged v8 that generates a massive 750 horsepower… oh and did I mention there’s a 1200 horsepower version? That’s borderline absurd for a car that weighs practically nothing (2,700lbs). 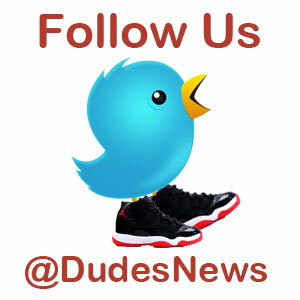 That’s an extremely high power to weight ratio. 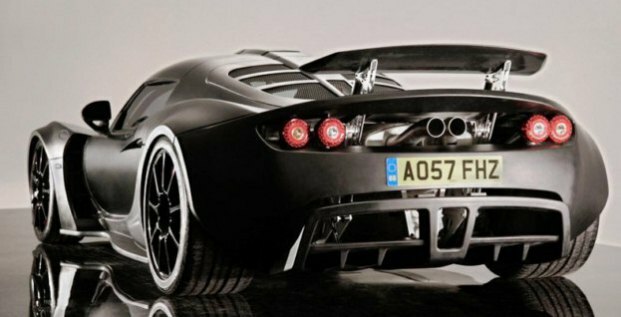 The car is built from a L0tus Exige body that is highly modified to reduce weight, enhance downforce, and add a sleek new look. Carbon fiber has been used generously to that end. 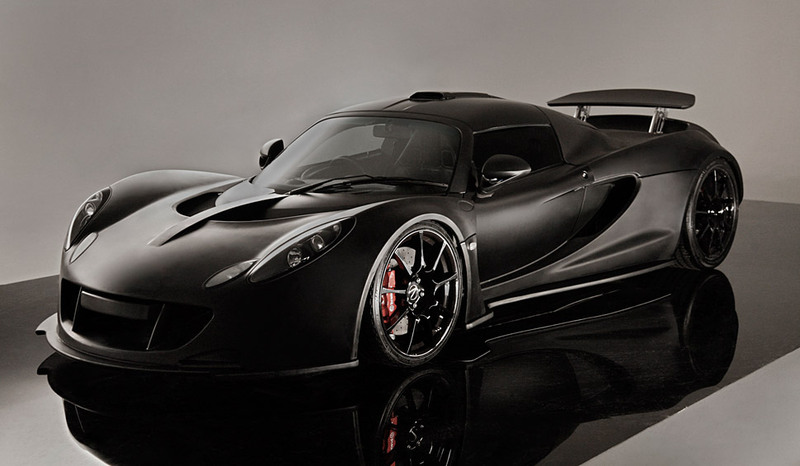 They claim this car can do 272mph… though this hasn’t been officially confirmed. That’s scary speed and something tells me the guys at Hennessey aren’t exaggerating. They’re only going to make ten of these a year, of course. You can only make so many batmobiles in one year, right? A cool price tag of $600,000 for the base model and $1,000,000 for the 1200hp version will seriously set back all but the wealthiest buyers. 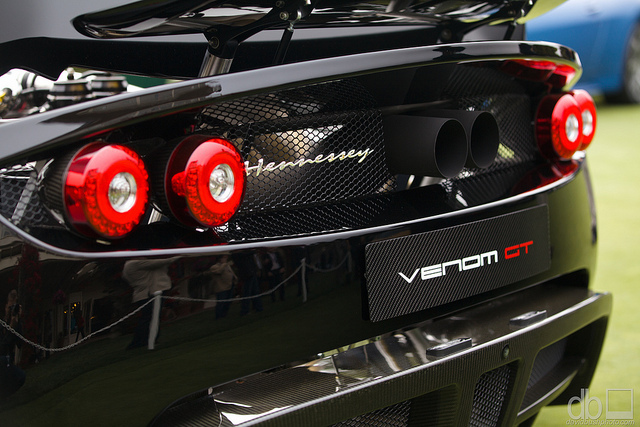 It doesn’t really get much cooler than this folks, the thing is named Hennessey Venom!